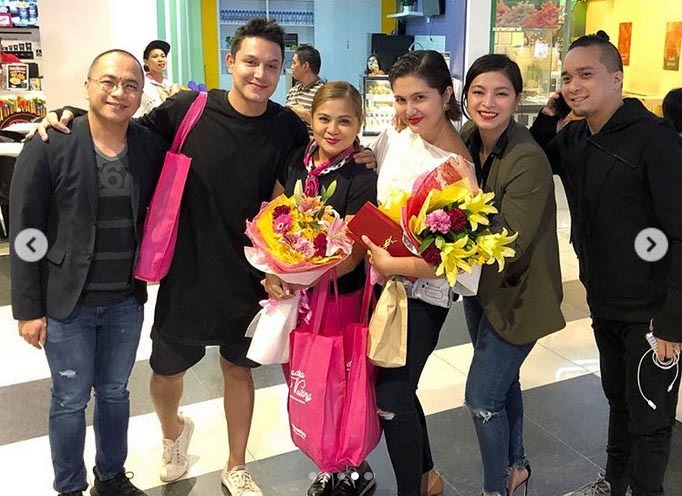 Angel Locsin and rumored boyfriend Neil Arce (rightmost) joined Paolo Ballesteros (leftmost) in supporting the celebrity screening of Deadma Walking. Also shown here are the movie's co-stars, Candy Pangilinan and Dimples Romana (wearing white). Angel Locsin graced the celebrity screening of Deadma Walking, one of the eight entries to the 2017 Metro Manila Film Festival. The screening was held at UP Town Center in Quezon City last December 7. Angel was accompanied by her rumored boyfriend, film producer Neil Arce. Here are some snapshots from the star-studded night. 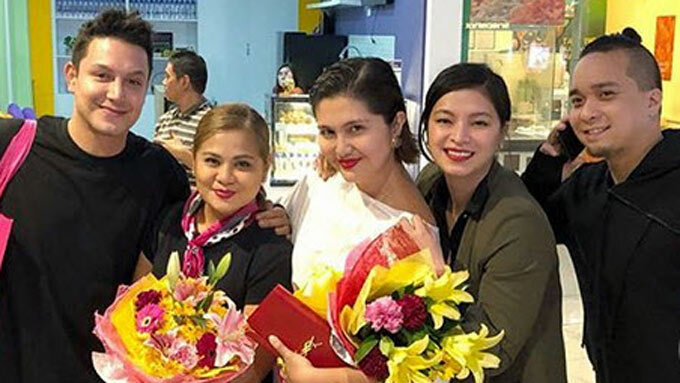 Angel Locsin, with rumored boyfriend Neil Arce on her left, poses with Deadma Walking co-stars Dimples Romana and Candy Pangilinan, and Paolo Ballesteros. 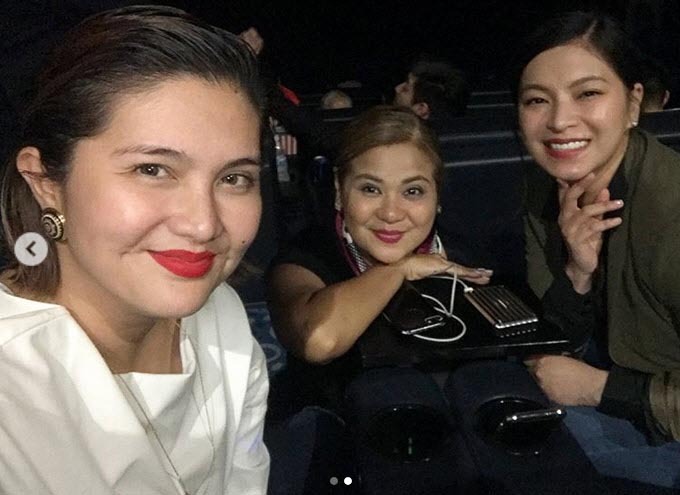 At their seats inside the cinema, Angel is all smiles together with Dimples and Candy. Angel and Dimples have a strong friendship that has spanned several years. 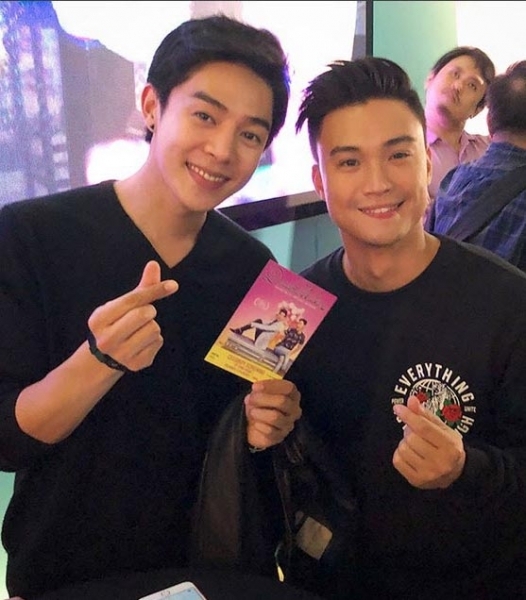 Alexander Lee does the popular Korean finger heart sign with one of Deadma Walking’s lead stars, Edgar Allan Guzman, while holding up his ticket to the celebrity screening. They are both working with each other in the GMA-7 prime-time series My Korean Jagiya. 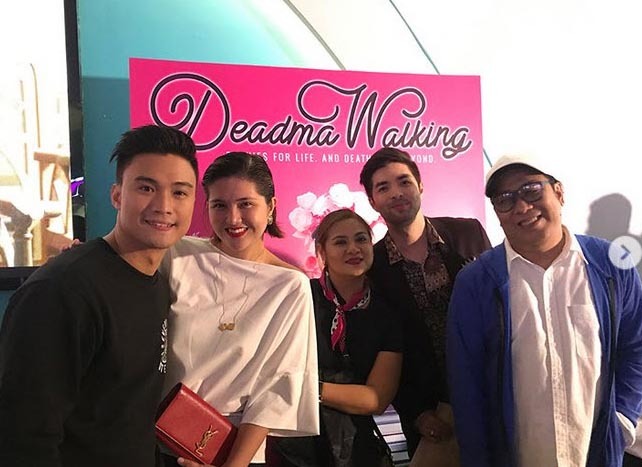 The dramedy film Deadma Walking is graded A by the Cinema Evaluation Board (CEB). 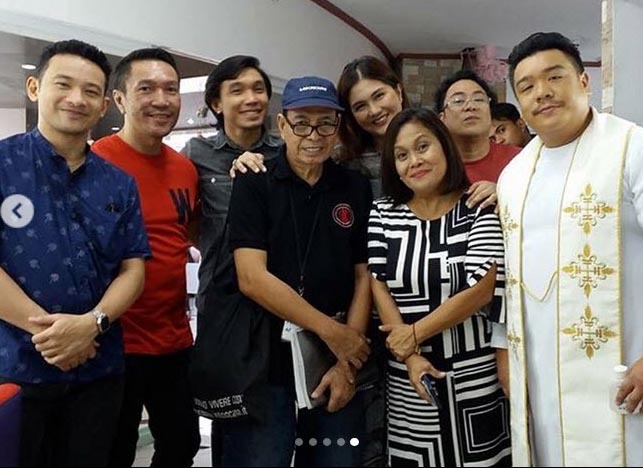 Dimples Romana says she is proud to be part of this "powerful and beautiful film for MMFF." Nico Antonio (third from left), Vandolph (rightmost), and Ketchup Eusebio (leftmost) also attended the celebrity screening of this MMFF 2017 entry. Deadma Walking is based on the screenplay of the same name, which won the 2nd Prize in the Screenplay division of the 2016 Carlos Palanca Memorial Awards for Literature. 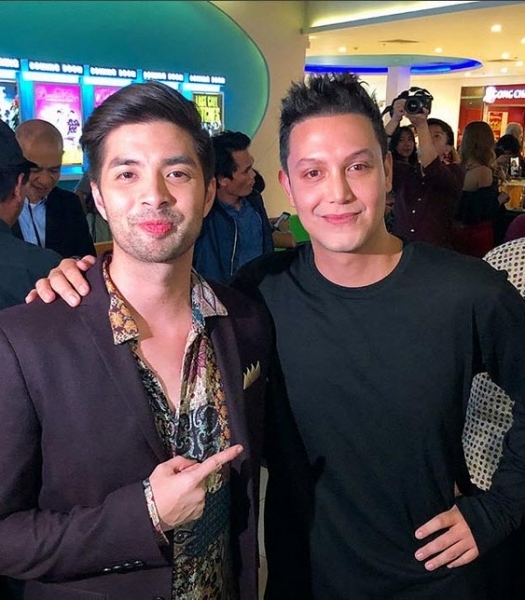 Paolo Ballesteros (right), who was last year’s MMFF Best Actor for his role as a transgender beauty queen in Die Beautiful, lends support to Joross Gamboa. According to the CEB, "Good performances from the entire cast [of Deadma Walking], the leads Edgar Allan Guzman and Joross Gamboa obvious standouts with their rapport made more remarkable by the fact that they are not real life gay men." Directed by Julius Ruslin Alfonso, Deadma Walking starts showing in cinemas on December 25, 2017.